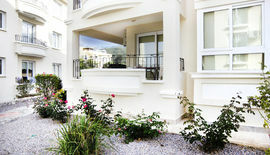 Buying a property abroad – is a serious step even for an experienced buyer. There is no need to rely on independence, hints of different people, believing the first person you see, who offers you to buy his apartment with a big discount. Trust your future to professionals, who work on the market for a long time and take responsibilities for what they sell to you. Start realization of your plans with a INSPECTION TRIP on the island for property, that our colleagues will lead. You will see re-sale properties, which are fully ready for a move in, you are welcomed to see existing properties as well as the ones that are under construction. Prizes and discounts will nicely surprise you, because we appreciate recommendations of our customers and we hope for your cooperation . You will visit offices of construction companies, new building sites, you will receive legal consultations. If you want your trip to be comfortable, you will need to plan your trip 3-4 days, so that if you buy anything you have time to sort out documents and visit lawyer’s office. Inspection trip is free for all buyers.